During many book pitch meetings at Rodale, I noticed the marketing department would always perk up whenever a potential author came with a book idea along with a heavily-trafficked blog. That’s because the author was essentially coming to Rodale with a self-created fan base and audience, perfect for drumming up support for a new book title. 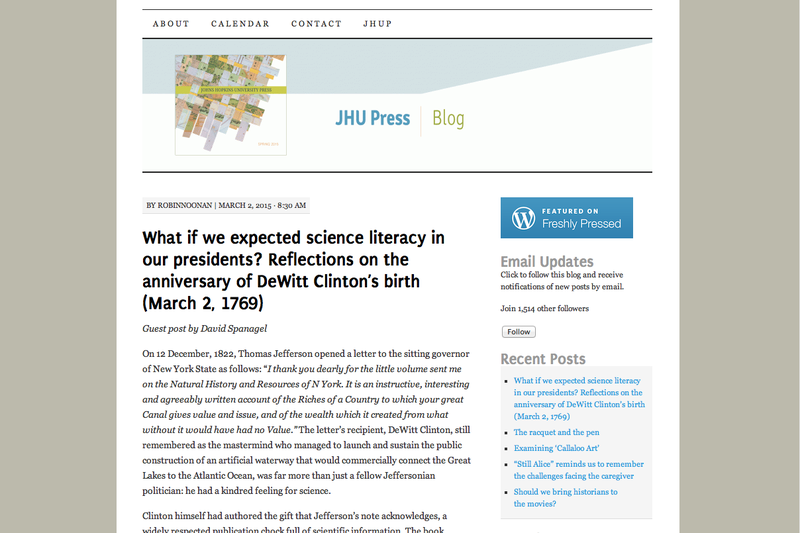 But the Johns Hopkins University Press takes it a step further. As a Marketing Assistant, one of my responsibilities is formatting and uploading posts to JHUP’s own blog, with posts usually written by one of JHUP’s most well known authors. In this way, authors not only draw support for their own books by blogging about related topics, but also channel attention back to JHUP. For instance, a blog reader may follow the personal blog of a historian/author they admire, which then could lead them to read the historian/author’s post on JHUP’s blog. From there, they are exposed to the posts of many other JHUP authors, an effective cycle of promotion that costs JHUP nothing. Blogs aren’t just for book publishers either. The Editorial Intern that sits next to me at Baltimore Magazine is exclusively responsible for the magazine’s online blog. This demonstrates that in many ways, Baltimore Magazine’s blog is just as important as published articles in the print magazine. 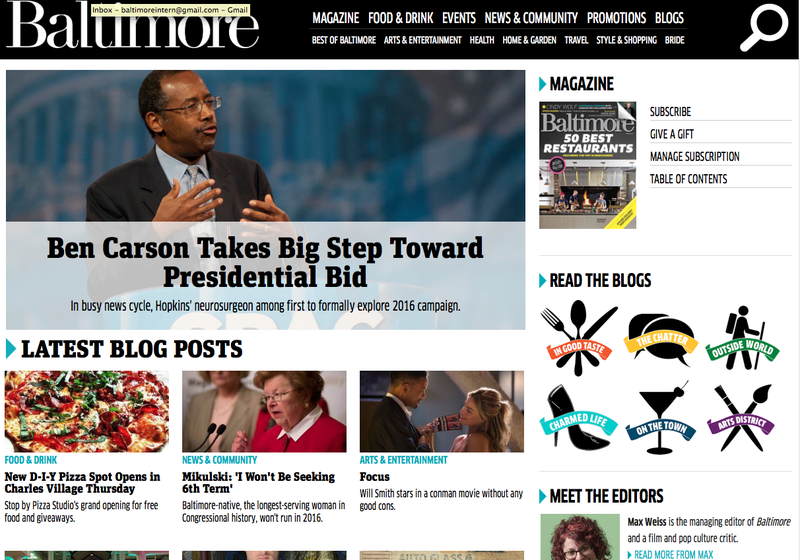 By creating rich additional content available for free on the web, Baltimore Magazine opens itself to a wider audience and entices this new audience to follow the magazine, both online and through purchasing the print magazine. 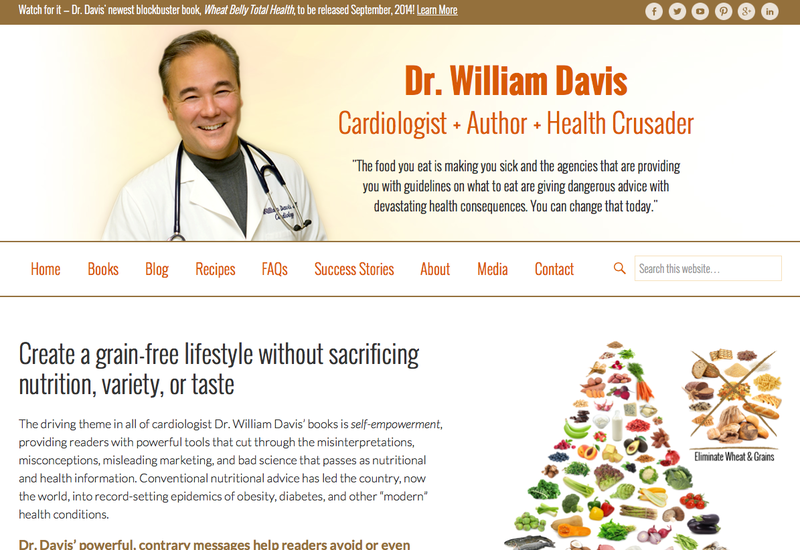 I’ve also had some personal experience using blogs as promotional material. During my semester abroad in Ireland, I was asked by my on-campus supervisor to write a blog about my experiences. 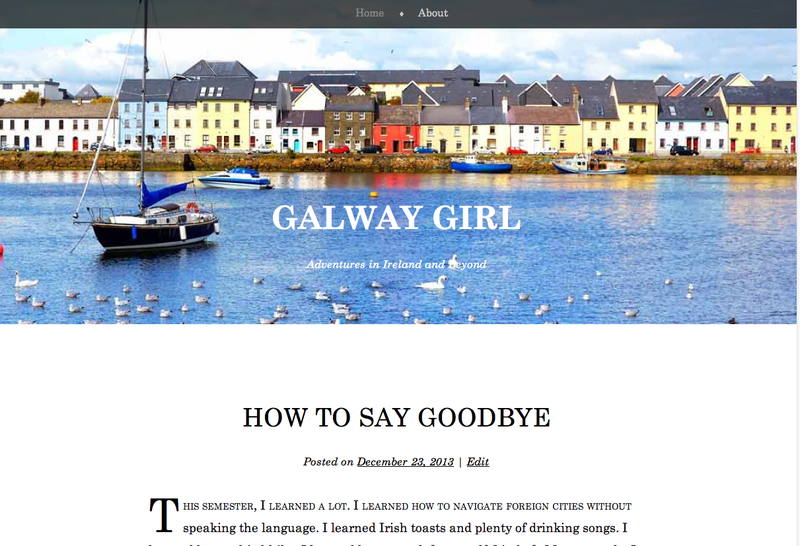 I created Galway Girl with the idea to merely document some of my trips and adventures, but it turned into so much more. One post about my rain-drenched bike ride around the Aran Islands created so much buzz that JHU’s Krieger School of Arts and Sciences decided to begin posting my blog on their own site and even featured one of my photos on the back of their magazine, along with a brief write-up about my blog. It was then that I realized the power of a simple blog post. So while publishing companies can continue to purchase banner ads and send countless promotional emails, sometimes a blog can actually do the work for you. And in the world of publishing that changes at a dizzyingly fast pace, blogging might just be the way for publishers to stay relevant with current audiences.